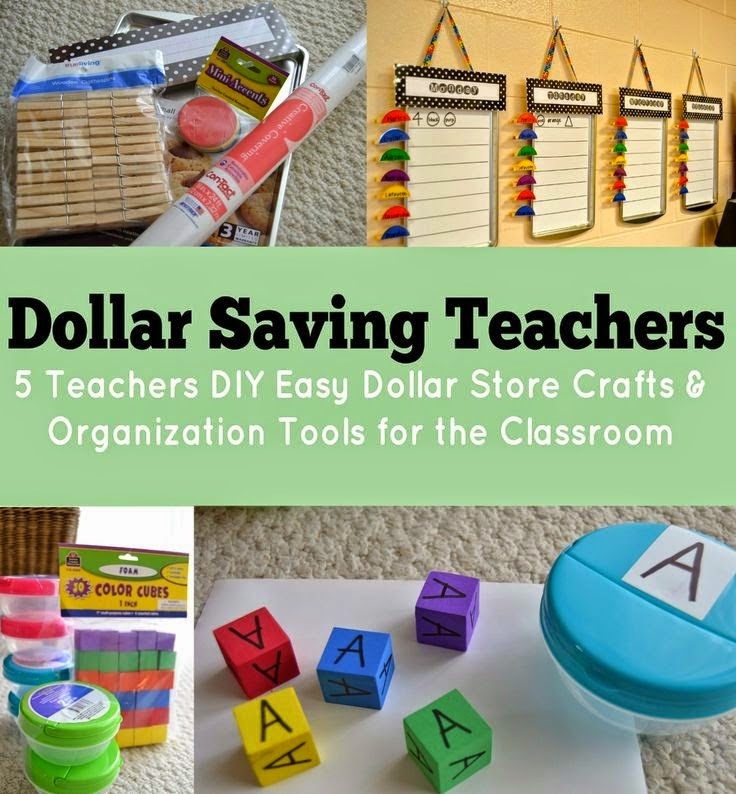 We all know how valuable dollar stores are to teachers, right? I LOVE hitting up the Dollar Tree, Dollar General, and the dollar spot at Target. 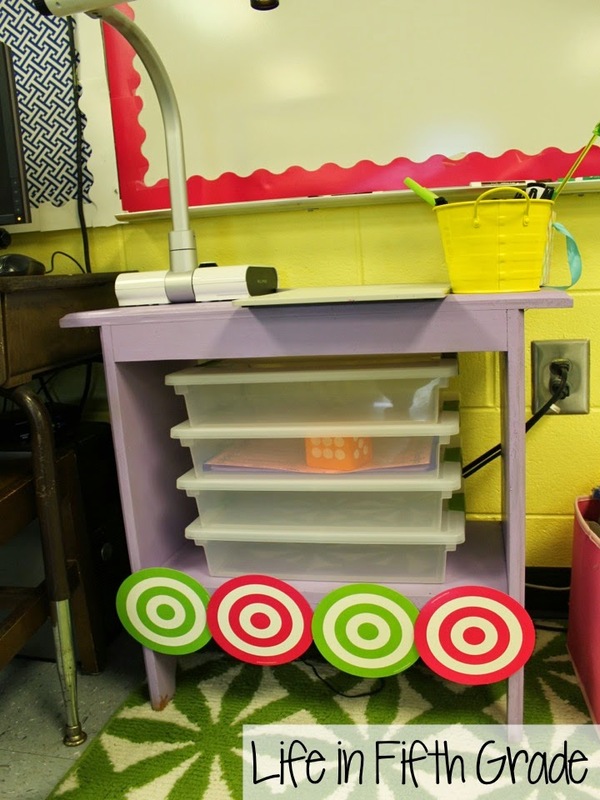 So when Teacher Created Resources contacted me with a challenge of combining their learning resources with my fav dollar store finds, I was more than happy to accept! I'll be sharing several of my projects, but I wanted to start off with my favorite. CCRS, Common Core, whatever you want to call it, we know it's important and most of us have to have our lessons aligned to it. 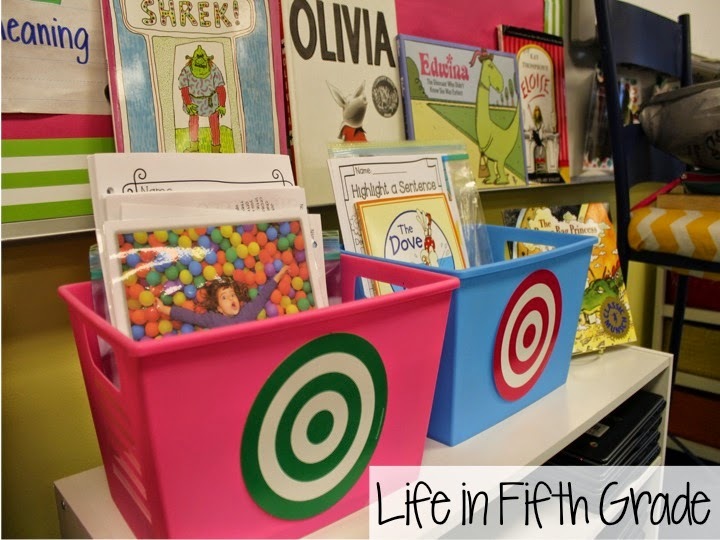 Each week I have a number of standards to teach and it can be overwhelming at times. I needed a place to easily house all my activities that are aligned to that particular standard. When I discovered that TCR had these fabulous target accents, I knew just what to do with them. I simply grabbed a container from the Dollar Tree (okay, who am I kidding? 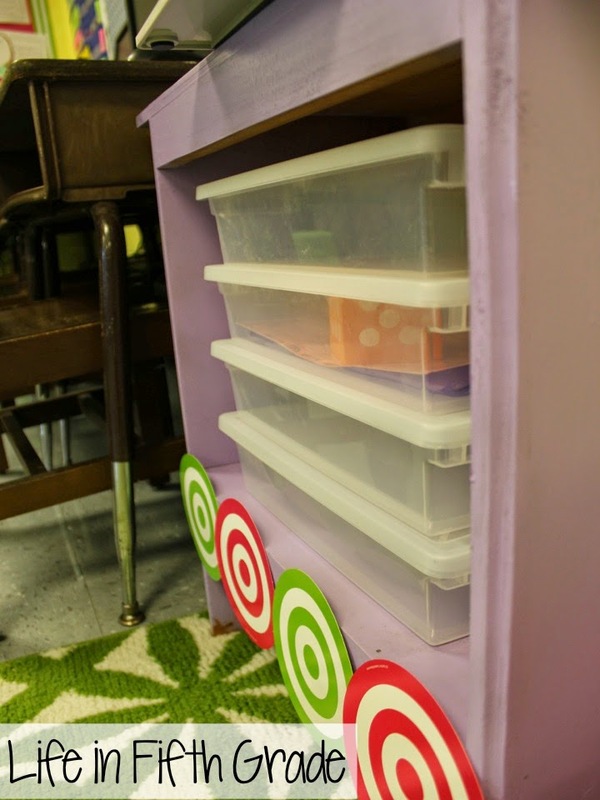 I grabbed the container from my cabinet where I horde them, but originally they came from DT) and placed the target accent piece from TCR on them. Super simple, but it helps me see how many activities I have for the week. I need a visual, y'all. I can now easily tell when I need to create or search for more. 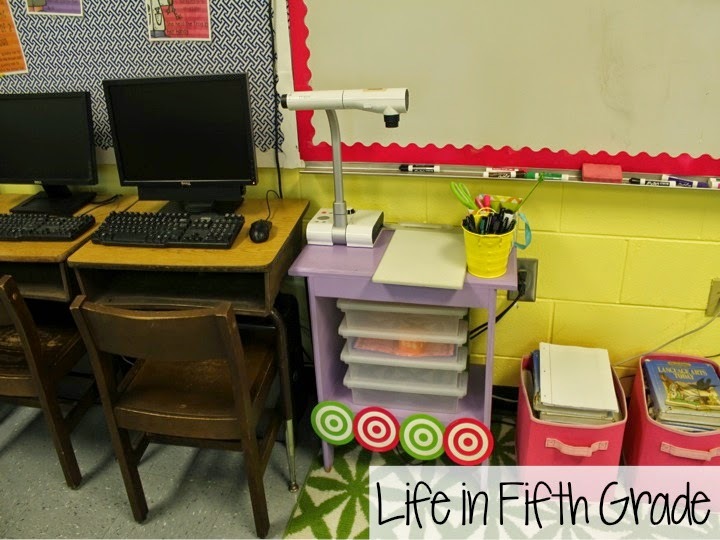 Simple, but it has made me much more organized, which is great when we have a million other things on our mind, like taking up money for special school events and collecting forms.